Freedom app is used to hack Google Play Store Apps that have IAPs in them like FIFA, Trial Xtreme, and more. By installing this application on your Android you'll be able to get unlimited Coins, Gems, Levels, Lives, and much more without using Lucky Patcher for almost all the games and apps you like. This latest version of "Freedom app" can be installed on rooted devices only of course. Here is a short tutorial on how to install and use the application successfully, plus some screenshots for more visual guidance. First you need to download Freedom APK file. 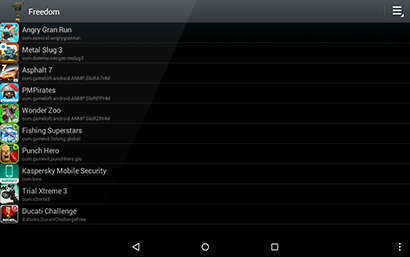 After downloading go to Security settings on your device and make sure that you enable ?Unknown Sources?. 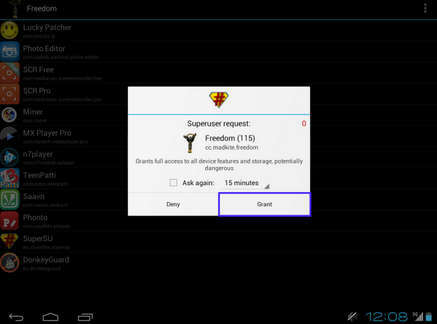 Now just install Freedom app and open it allowing superuser permissions request. After successful installation go to Google Play and choose the app you want to download. 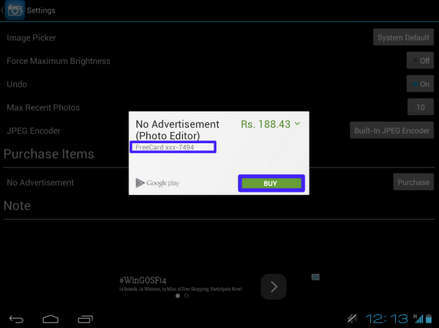 Now just make free in-app purchase clicking Accept & Download. Wait till the app will finish to download. Run Freedom and tap on the app you have just downloaded. Now you can make your in-app purchase. 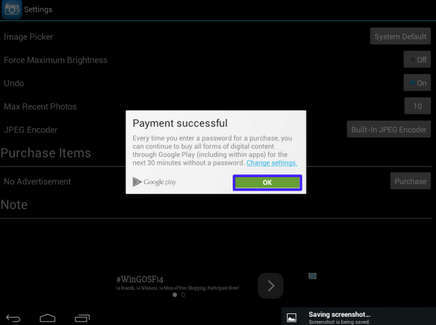 - Added the ability to " remember buying "
If you install it on Android 6.0 and 6.0.1 the app may probably crash after opening even if your droid is rooted, then you will get the Play Store "No connection error". To fix that and get back your Play Store working again you need to revert hosts with AdAway. I can't be held responsible for anything that goes wrong!